Though cherry-blossoms in Tokyo already fell, the blossoms in Tohoku region will be at their best soon. But we can still enjoy cherry-blossoms in Tokyo. With sweets. Now we can enjoy sweets that have cherry tree leaves and cherry-blossoms, and cherry-blossom-shaped confectionery, not to mention sakuramochi. 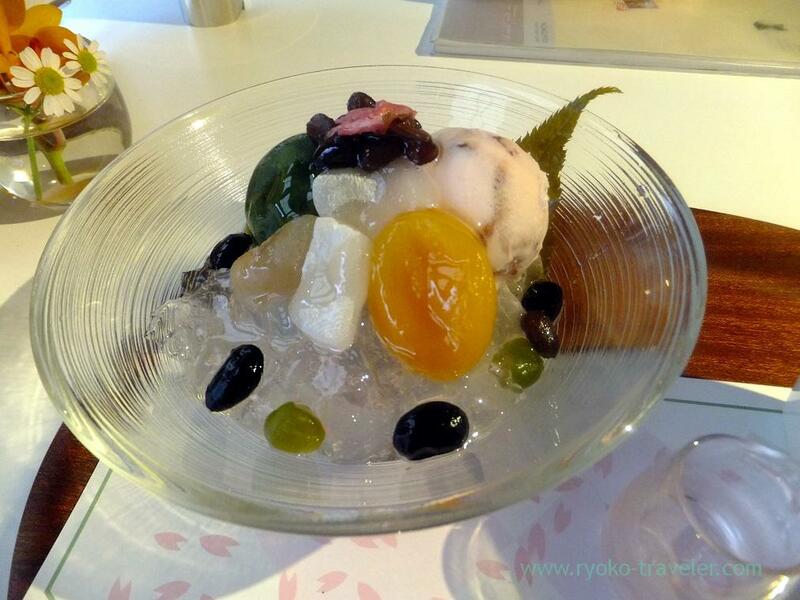 I ate Sakura anmitsu (桜あんみつ, 630 yen) at Kanten-papa cafe in Hatsudai the other day. 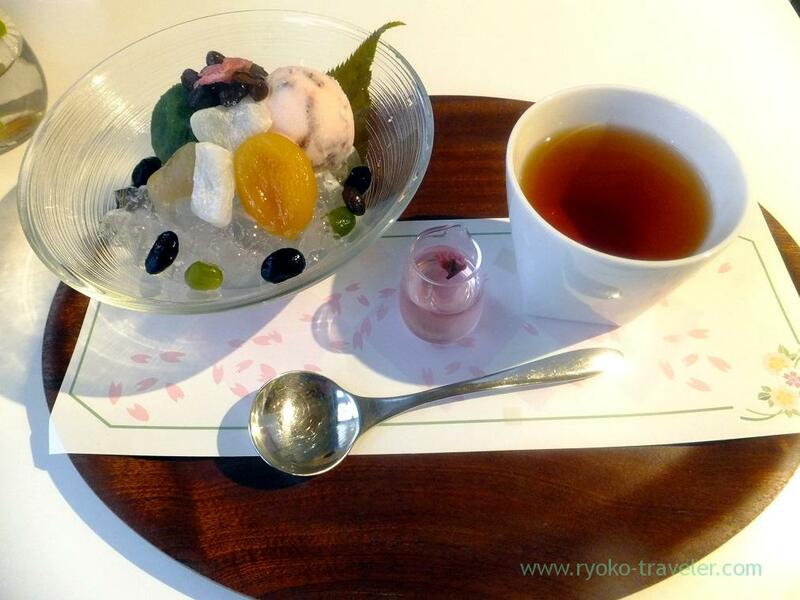 The glass in the center had cherry-blossoms syrup. A petal floated. It smell cherry-blossoms a little. The cherry-blossom-flavored ice cream was tasty. This cafe was managed by “Kantenpapa” that is a campany in Nagano. They produce many foods made from agar. “Kanten” means agar in English. This anmitsu have gelee and square jelly made from agar. It was really good.